Strategic Research Associates had the opportunity to partner with the YMCA of the Inland Northwest to conduct telephone research among Spokane’s South Hill residents exploring the possibility of a new YMCA location to serve Spokane’s South Hill (WA). The YMCA is reviewing the results of the research completed in February 2016 to make decisions about the future of a possible facility. Wait, what, YOU have a GSA Schedule? 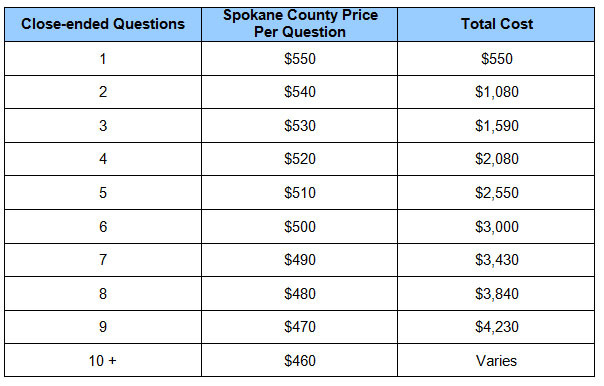 Spokane area panel surveying; anytime you want!